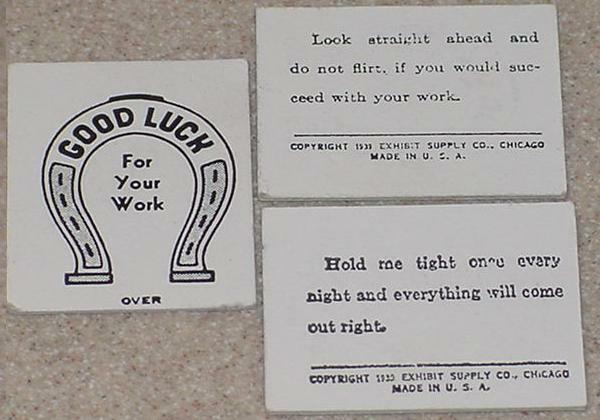 Description: Smiling Sam lucky piece vendor, Exhibit Supply Co. (Chicago IL), 1939, really a vendor and not a fortune teller. 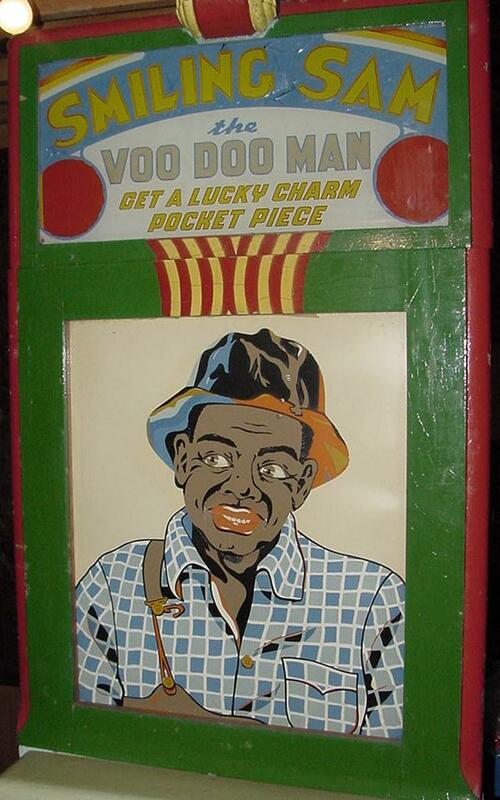 Also known and labeled as "Smiling Sam the Voo Doo Man" (Smiling Sam the Voodoo Man). Has animated figure with moving eyes and mouth. The Uncle Remus Type figure changes expressions from deep sadness to elation before giving a lucky piece. Also sold as the "Blue Bird of Happiness" lucky piece vendor with a flapping wing blue bird instead of Smiling Sam.